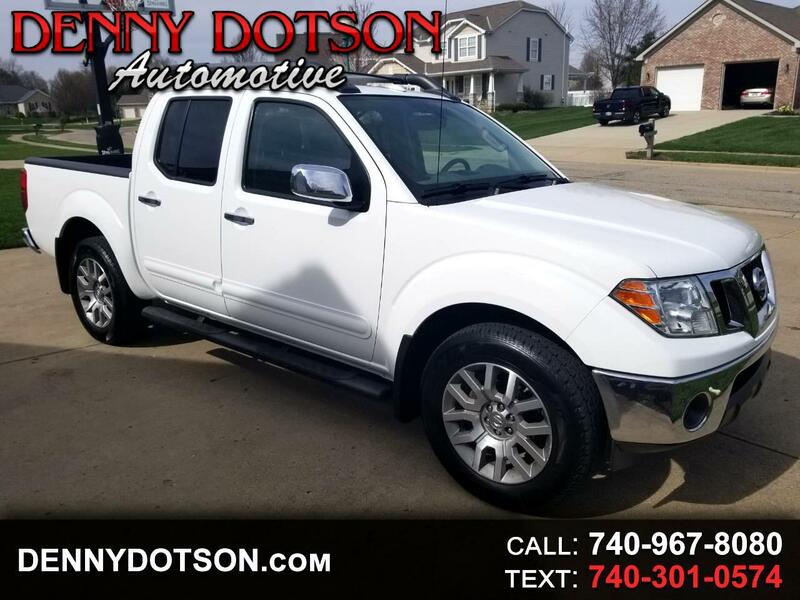 Used 2012 Nissan Frontier 4WD Crew Cab SWB Auto SL for Sale in Johnstown OH 43031 Denny Dotson Automotive Inc.
Great looking 2012 Nissan Frontier Crew Cab SL 4X4 with only 65K miles. Summit White over Charcoal Leather. Heated seats, 261HP 4.0L 6 Cylinder, 18" alloys, Rockford Fosgate sound system, hill assist/decent, roof rack, and a power sunroof. Two owner clean history with no accidents. Books, manuals, and original window sticker($33745).